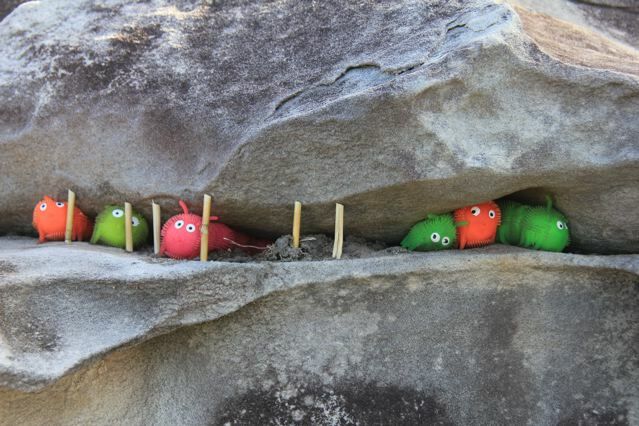 Eruv erectors are on the job again in Bondi, ostentatiously occupying prime real estate in the 16th annual Sculptures by the Sea on the coastal walk to nearby Tamarama. As readers would recall from last year’s Eruv special report, the erections are about easing the inconvenience of Shabbat for Jewish punters by re-defining their domicile, so that they can fudge the rules of religious observance. 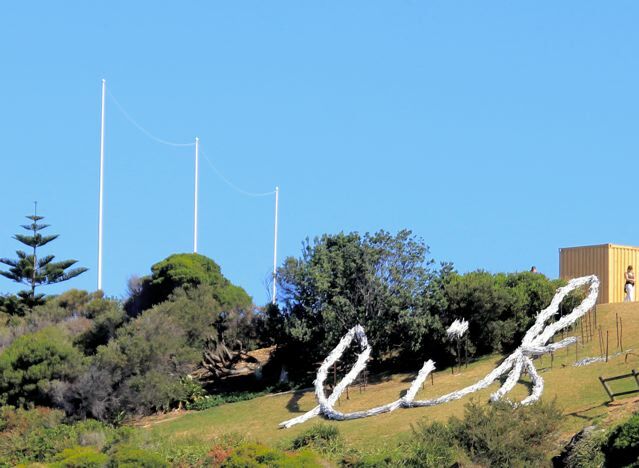 Anyway, it appears that Mark’s Park on the headland between the two beaches has been eruved to facilitate closer appreciation of the sculptures in the park. And this eruv extension is very tall and indiscreet. I’m unsure of the message sub-text, but as it says alongside, ‘Life is short’, so maybe they are cleverly juxtaposed. Presumably the big eruv will be short-lived too, as a temporary measure? This year Sculptures hasn’t produced an amusing controversy like three years ago when prudery flared up and a naked boy sculpture was temporarily censored. 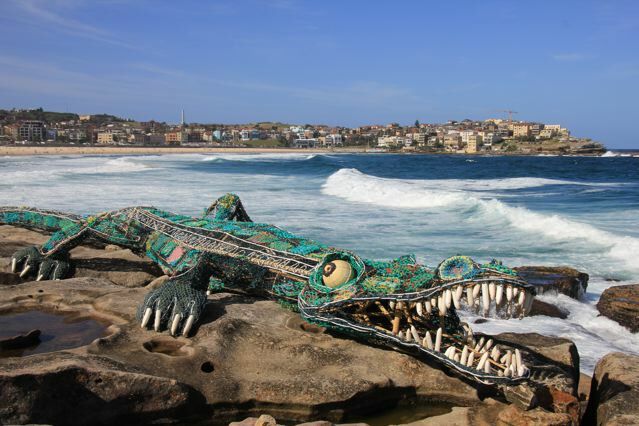 But there are plenty of favourites, including this crocodile made from ghost nets retrieved by indigenous rangers in remote northern Australia. 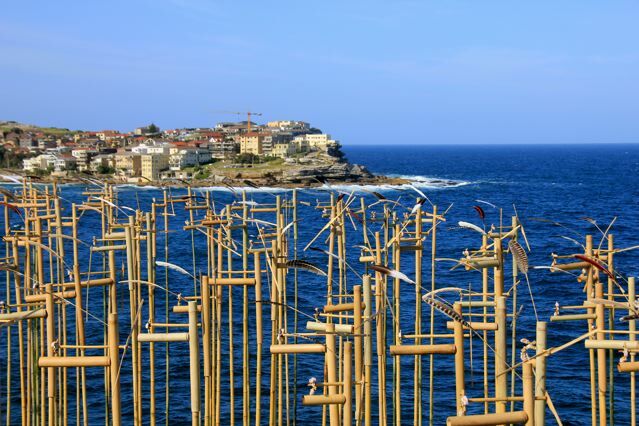 And the Mengenang (Indonesian for memory) installation of 222 bamboo ‘bird scarers’ tuned to D-minor, to reflect on the lives lost in the Bali bombing. Strong winds really got it humming! Gratitude & special thanks to JJ for use of her photos, as always.